A customer was looking to drive two ball screws in unison using a single motor and also needed gear reducers to meet the application requirements. The ball screws were in parallel and positioned eight inches (8”) apart from their centerlines. 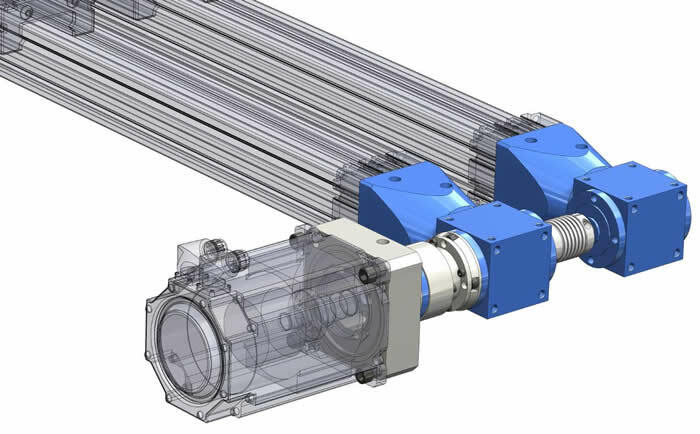 A traditional arrangement for this system would include a center driven dual output shaft gearbox in between two right angle gearboxes and connected using couplings. However, because the actuators were so close together, this configuration was not possible. GAM engineers relocated the motor perpendicular to the actuators by using two spiral bevel gearboxes (V-Series) in conjunction with a hollow output inline gear reducer (EPL-H). All components were assembled together with precision machined adapters and bellows couplings. The design was approximately twenty percent (20%) shorter than the traditional configuration and used fewer and more economical components resulting in a fifteen percent (15%) reduction in cost. Typically, the customer would have to size and source the gear reducers from one company, the couplings from another company, design the system, and then ensure that it functions correctly. Instead, the customer was able to get the complete solution (everything between the motor and actuator) from GAM. GAM engineers not only sized and selected the appropriate gear reducers and couplings required for the application but also designed the mounting adapters necessary to complete the system. One 3D model of the assembly was sent to the customer so that all they had to do was drop the file into their design for sign off, which helped to reduce the overall design time. -15% reduction in system cost. -20% reduction in system length. 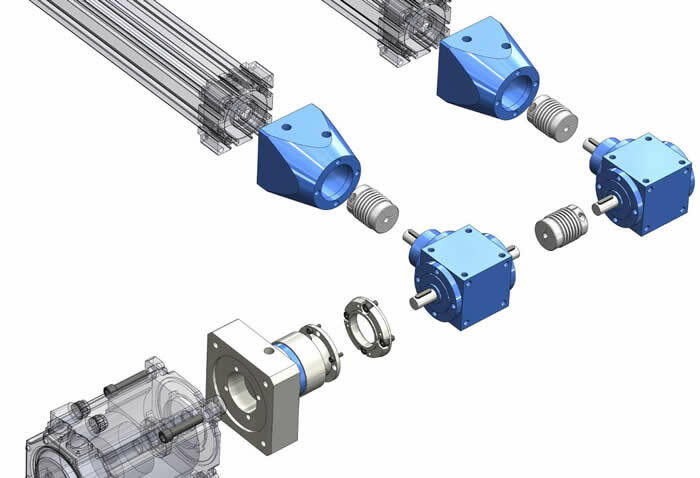 GAM Linear Mount Products - For everything between the motor and actuator. 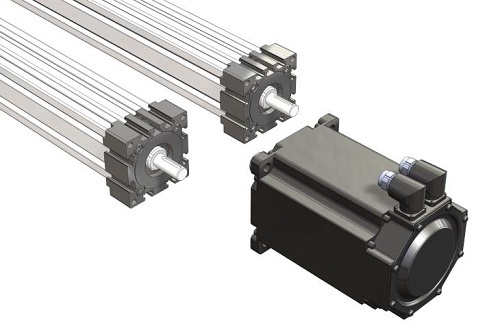 GAM linear mount products are an innovative line of gearboxes, couplings, and mounting adapters designed to improve the process of connecting motors to actuators. Whatever the challenge, GAM has the products and design competencies to help with any actuator application.